Qualtrics Customer Experience is an agile marketing platform for customer experience strategy improvement, making it easy for companies to monitor, respond, and improve every key moment along the customer journey and incorporate customer feedback and recommendations into every decision. Work for Qualtrics Customer Experience? Learning about Qualtrics Customer Experience? "Changing culture one review at a time"
Qualtrics provides our staff with real time feedback from our Customers, and the ability to take ownership of issues quickly, before the escalate into stories that hurt the Brand! The dashboards encourage staff to seek out high performers who can take a leadership role and mentors them on raising the CX bar! It's a real Culture changer!! On the dashboards, I would like to see box-and-whisker plots rather than average scores. The range and skew is more important than the average. The old chest nut "Customers feel variation not averages"
Qualtrics shares best practice thought leadership with a world class XO management platform to accelerate deployment and better customer outcomes. McGrath has used Qualtrics to establish a NPS and C-SAT baseline for Landlords and Tenants. We have shared the results with our teams and Customers with negative feedback have been contacted. Overall feedback has been sent to all Customers. Internally, this is a cultural shift in removing the fear of feedback. Externally we are showing Customers we listen and value their feedback. Going forward we are developing surveys/dashboards to support our new CXJM. In-built functionalities to facilitate branching logic, adding questions of various types and live preview of your survey. Also, you can make quick changes to question sequences and can design skip rules and display logic on the go. The display logic and skip rules are visible against each question meaning that you can review the logic applied to the question without any efforts. We are designing a survey using this software to collect data from the targeted crowd, which will be conducted as part of an ongoing research project. "Great tool for data collection and communication"
We are currently using Qualitrics CX suite with Visualize dashboards. The survey platform is easy to set up and use. It also provides the easy integration with Salesforce in very easy click-to-setup manner. Visualize dashboards are a bit complicated but once you understand the logic, it gives you very nice idea about your research and where your campaign stands. The main issue is deliverability and response rate. It is very hard to get the detailed information on bounced reports through customer care and you cannot just download the status from the platform or Target Audience. Everything requires additional steps in preparation which are easy to miss. For example, embedded data is not synced from Target Audience with survey platform and Visualize after the invitation for survey is sent, which minimizes the value of Target Audience investment. Also, TA does not provide the global opt out list, so if you have duplicates in the next links and you cannot merge the records for one or another reason, it will be sent anyway to the final users. Thank you email does not support custom from email if you want to use it in different languages, it is supported only for primary language. Recoded values do not always export to SFDC the way you expect. We are using Qualtrics for NPS relationship survey. The main benefits include ability to set-up by ourselves without IT involvement and Visualize dashboards are very helpful for on-spot analytics. I love using qualtrics, there is so much versatility in the use of the software. I can do so many different survey functionalities in this software. There are so many features which all work seamlessly together. The only thing that I don't like is the fact that Qualtrics is not forthcoming about updates to their services before they happen and don't outline them when they do happen. Often times the updates break some surveys and because I don't know what they did, it takes forever to figure out what happened. Qualtrics support is unhelpful in this regard. Qualtrics is headed in the right direction, but customer support is lacking and leaves much to be desired. We use Qualtrics for customer experience, NPS scores, and employee experiences. There are a lot of benefits in each of these areas. "User friendly, mostly intuitive, clean design"
I like that for the most part, Qualtrics is super user friendly and pretty intuitive. Anything I can't figure out on my own how to do, the customer service team is ON IT in terms of helping me and/or getting back to me in a timely manner with an answer. The only thing that I dislike is that I'm really not aware of how MUCH this software is capable of. There are so many ways you can use this tool and tweak things that you almost have to be an expert to get the most out of it. If anything, the follow up support and customer service reps make it worth it! Right now we are trying to figure out how to improve the services that we provide to our clients, in addition to using Qualtrics on behalf of our clients. I continue to be surprised by how many different uses we can get from this software. As we are still new to Qualtrics - we have 4 surveys implemented however we have not started to use the survey data to create actionable insights as we have been so busy to just get the surveys implemented. To date we have not realised any benefits and won't until we can get some actionable insights out. We also dont have dashboards that are useful to the business in what they need - the dashboards are too busy with too much information - this is a reflection on our implementation and requirements gathering with the end game of better customer insights in mind - which we haven't acheived - however now we have surveys running again we can take a breath and do the planning required with qualtrics to ensure we have the insights in mind and the closed loop process running. "Good functionality with some confusing experiences"
There are some weird omissions to survey design - e.g. Other - please specify options don't look very good, can't select 'none of the above'. Small things, but as we know these are important. The analytics software you have is good and I understand you buy a lot of companies to gain this functionality but it really does feel like i'm using 3 different systems rather than 1 integrated system. Overall, I'm was really hesitant to say that I was even using Qualtrics CX. I know you're trying to create branding around the 4 experience dicisplines, but i don't think you've done a good job in translating this to the tech. Your support is really hit and miss - sometimes great, sometimes really poor. I get the feeling I'm being sold to the whole time, and there's lack of upfront communication because you might be trying to find a way to figure out how to charge me for something. "Qualtrics is great survey software"
The website/software is relatively easy to use. I previously was a SurveyMonkey user, since we switched over to Qualtrics, I have found it easier to use than SurveyMonkey and use it more. I initially had trouble moving my surveys from SurveyMonkey to Qualtrics, it would be nice if there was an easy import feature. I ended up recreating the surveys I needed. I love the stat tools available within Qualtrics! I'm able to have deeper insights into our customer data because of the sophisticated ways we can now analyze our customer feedback. Because of the sophistication, I find that it's challenging to just get started with a project. There's a lot of understand and absorb. A lot is intuitive, but there is a lot that you need instruction on. Trying to collect customer insights from across the organization in a cohesive way. Lots of teams gathering feedback in different ways and using different tools. Some of that is still happening, but we're getting better. Morning sessions and speakers were outstanding. Breakout sessions were mostly very good. Crowds/crowd control. Have enough chairs for people. Have advanced sign-up for sessions so we can plan which sessions to attend and know if we can or not, plus you can put the more popular sessions in larger rooms. Have better/more detailed descriptions of sessions so I don't waste time on basic stuff or on stuff that doesn't apply to my needs. Qualtrics is intuitive and clean to use. We have been able to survey our ministry members, gather data, and are implementing in the hopes of increasing the positive customer experience. The learning curve is steep, but once you get through it, it's fairly intuitive. Can feel overwhelming, but that is often true of any new thing. We are preparing for a whole new product launch. We just ran a customer experience survey to help data validation. We want to make sure our product is actually answering the needs and not just based on our assumptions. "Great Start - More Work in Academics Needed"
I love the ability to collect multiple data points in a user-friendly format. I LOVE Vocalize (the concept). While I love Vocalize, there are some key data features that we need displayed in the academic sector that currently are not supported by the software. Know the different ways Qualtrics can be leveraged to solve existing problems. It's not overly intuitive beyond survey use, but it's application possibilities are endless. We have revolutionized the measurement of human capital school support (could not be measured prior) and also synchronizing leadership experiences in classrooms and calibrating data points. By far the most valuable feature has been the dashboards. I work at a science center on a collaborative visitor experience study with 20 other science centers, and our project is moving from grant-funded to a pay-in membership model. We have to convince these science centers to stay on board in our project! For many of our institutions, access to the dashboard was the tipping point. Being able to log in and see data monthly or quarterly is so powerful. There are some features in the dashboards that I would like to see, such as custom metrics that include medians instead of just mean. I also wish filtering by custom date was easier and did not assume your data were coming in real time. We want to give more people in our organization access to data and allow them to answer their quick questions without asking us to do more analysis. "Easy to use and gain valuable customer insights"
Dashboards sometimes run slowly when loading data, but do give the opportunity to cross tab avariety of question data. The platform provides a one-stop shop for gathering data, communicating with customers, and gaining back customer loyalty. "A single platform to house, collect, and analyze experiential data"
Coming from a company where customer feedback and sentiment was captured across multiple channels and and systems, Qualtrics has provided a solid, scaleable, and feature-rich platform that can serve the needs of many departments and teams across the enterprise. Qualtrics can do so much, that often times you just do not know what features to use or implement. You can also have an idea of what you'd like to accomplish and spend the time and effort to create it manually, only to discover Qualtrics had something out of the box you could use. More awareness and training around features would be great. Customer Experience provides us with an easy, yet robust, solution to collect actionable feedback immediately at the conclusion of the purchase process. the problems we are solving using customer experience is our training services and customer's purchasing experience. "It's a damn good product"
One thing I don't like is that when I want to make a trigger for a survey, the window for that is VERY small, so I wish that was a little bigger but that's pretty much it. We get feedback on what our company is doing right and wrong. It's helped immensely gather feedback, both internally and externally. "Great Customer support to learn more than I can imagine"
I wasn't sure what I was getting into with Qualtrics to improve my customer service data. They have held my hand when needed, expanded my thinking and never made me feel dumb or finished. They invest from the beginning and keep on going. Simply trying to figure out where to go next within the system. for educational use. What I like best about Qualtrics is the ease of use to get going, but the ability of the software to scale into deeper complex problems. Getting into the deeper complex problems and not always knowing what I'm doing. But the support teams are great. Support staff will help you with implementation and fixing things when you break them. Our initial use case has been putting factual customer responses about experiences against suspected problems. "Customer Experience or Voice of the Customer - Identity Crisis?" The tool aspires to be a great tool to help with experience data to support an organization. Many of the features moved onto the main XM platform, after we adopted the VoC platform. This made it a bit frustrating. Speak with other current users of the product to understand pros and cons. Look beyond Qualtric's own customer recommendations. We were trying to efficiently understand anecdotal feedback, which is usually the open-ended feedback. "Review NPS and customer feedback on monthly reports"
I like the ease of the platform. I am able to review customer feedback in a dashboard that is easy to comprehend and create data spreadsheets of my own. I dislike how on the version my company uses I am unable to sort for key words. For example, I want to sort for 'ID cards' and see who mentions not receiving their ID card yet and I am unable to do that. One business problem we are currently solving using the customer experience platform is our website. Customers are able to give us feedback on the website that we are then able to use in improving the digital experience. "Great product, but need help"
I love how easy the product is to use. We had some issues on the back end automating some of our surveys, but those got ironed out pretty quick. It's quick and easy to use and design. There is so much that it can do, once it was set up we were kind of lost at what the next step is. It would have been nice to get best practices, or next steps, or things to look at once the implementation was done. We felt we were left on our own. We are trying to measure not just different touchpoints, but channels for our members. Customer experience through the use of the survey data after our members have used emergency road service. It pulls data quick and efficient. Creating the survey is easy and user-friendly. There are easy routing. There are some functions I wished you had like being able to copy display logic to use in other questions instead of rebuilding it. Being able to get customer experience data based on transaction is def helpful. We have used it to do a closed loop survey experience using email triggers and CRM integration. "Good product, decent Salesforce integration"
the survey build and submit process is great. It's super easy to get started and cutover from another product (we came from survey monkey). The salesforce integration is not well documented. It took several weeks to get this up and running because I had to keep reaching out to qualtrics support when no documentation was present. Need more support for integrations. Qualtrics support can't always help because of settings inside the other system. "Qualtrics Customer Experience is great!" I love how much Qualtrics can customize our business needs. We work with a complicated structure and Qualtrics helps us every step of the way! We are solving problems in the food industry. We have realized the opportunity we have to help our customers and staff throughout the world. "Very easy to use product, but could be better from a predictive analytics perspective." The Qualtrics culture, team willingness to roll up sleeves, the advanced analytics and dashboarding - real time. implementation - project management 101 skills, silos in Qualtrics - Product Features vs Engineering Services and flexibility of the Closed Loop platform compared to Medallia product. I like the analytics of qualtrics and dashboarding better than Medallia but not frontline closed loop. We are trying to roll out across all channels and journeys to provide customer and employee feedback in one source system. We want to use for reputation, product and all cx measurement and link to employee. "Intuitive platform with stellar support "
I like that I can upload a contact list and then send emails to the list directly from within Qualtrics. What I liked most about qualtrics, is that they were started up by BYU students out of Provo, and made something awesome. It is a professional survey site, that isn't ghetto like surveymonkey or the other free survey sites. I really don't have much to dislike about them! We had a new account rep every few months, and I never knew who I needed to talk to when I had questions. Really high turnover in the sales department? Using a survey site helped us identify the problems in our business that we needed to address! Great support online and through the support call system. User interface isn't great and the data reporting is a bit limited. I prefer to export raw data and either use Excel or Tableau to gain further insight. We have the CX product at my company but my team primarily uses Site Intercept. We use Site Intercept to collect passive feedback from customers and run daily reports to find, report and fix defects. The Site Intercept tool couple with a session replay tool can be very helpful for that purpose. We also use the software to more actively fire targeted surveys on a variety of topics. "Some challenges at the beginning, great improvements later on"
I like the flexibility of the tool best, we are able to create dashboards ourselves and are very nimble to react to business needs. The team is very helpful and accommodating. We got a lot of things implemented without charge through a product feature. We were facing a lot of issues during implementation which caused a lot of delays and frustrations for the users. We are looking at real time feedback and close the loop right away solving problems for the customer. The goal is to increase satisfaction and loyalty. "Survey tool users for our VoC program"
Ease of use and power of the tool. The ability to store and track historical answers. I'd like to integrate the tool into our client website, but we've found the integration to be clunky. Understand and track the client journey so that we can stay ahead of their needs. I love the ability to put tie statistics to the back end for further evaluation. I am excited to look at the Employee XM Product. I wish they had more video training for the mailing list. Employee survey. None yet. My first survey goes out next week. "If you need insights Qualtrics is the key"
The tool is easily implemented deployed & integrates with SFDC. If not integrated with SFDC adoption can me challenges. If you need a easy to use comprehensive tool to gather insights to make more data based decisions to drive business outcomes Qualtrics should be your go to solution. VOC. Getting business insights to deploy programs to drive business outcomes. We are just getting started with using Qualtrics to measure CX, and so far, I like the ease of use and the user interface. I know I'll like dashboards too, once we get going! I dislike that I can't have all the add-ons, due to budget! This is the leader, by far. It's not just a tool but something that you can become better as a professional by using. We are solving a business process need related to collecting evaluations and data related to impact on our programs. Benefits are still coming... we are just beginning. I think that they are very simple and easy to use. I dislike the questions that the surveys contain. I think that people would benefit from official training from Qualtrics in order to maximize their surveys. Qualtrics lets me see, customer touch points. It also lets me put the results into a format that is better for analysis. The ease of the platform and the ease of the reports. When changes are made to the platform, the communication and help could be enhanced to ensure that there is ease of use. "Goes a long way to give us actionable data for our schools"
I like the flexibility and adaptability of the platform . I appreciate the myriad of ways that data can be analyzed and reports. The inability to do statistical analysis directly from a CSV. Having to create a survey with embedded contact list elements is clunky at best. Have a brief instructions as they first sign in, make it interactive!! don't make a video (no one watches that) and continue to send updates so people can see that the product is getting improved on a frequent basis. reviewing our SkyMiles customers and their experience in-flight. It's easy to combine and configure all of our customers together and then segment them either by tier, their routes, etc. "Early work into Qualtrics, and I'm a fan"
I like how easy most of the set up is. It didn't take me long to learn, but there are still some points where I need more work on. There are some non-customizable things on the web/app feedback creatives, and I was looking for a little more creatability. Also, I wish the responsive web survey had more customizations in terms of timing an d showing settings. I really appreciate the innovations that Qualtrics continues to bring. They go above and beyond and continue to surprise us with their new features. I would like to see better reporting functionality and automated reporting that is more useful than the standard outputs. We are using it to discover opportunities to improve our clients' experience with us. We want to provide the best care possible and Qualtrics helps us do that. "Qualtrics is very easy and simple to use." I like out simple and efficient the platform is. No fluff, just the essentials. Nothing, really. I think it is very easy for customers to understand. It allows businesses to measure customer experiences very easily and efficiently. You know what your customers are thinking. "Great platform for 95% of all your use cases"
It's the ease of usage of the platform. Whatever you are after, the platform probably will be able to fulfill it. Handling more complex surveys is still a pain. Especially if you have to work with complex user hierarchies (e.g. in the retail environment) or if you have dynamically changing hierarchies, the performance of qualtrics is not 100% perfect. 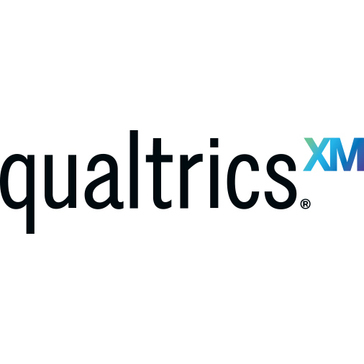 We are using Qualtrics for the majority of the CX programmes we are selling to our clients. I love that the surveys are easy to create, you can use skip logic, and you can customize the survey links you send out. I dislike the export process when you are dealing with hundreds of responses. The data is not clean at all. It exports into a spreadsheet and not all of the date exports in a knowledgeable way. We use this to take registration for large scale events, applications for speaking positions, and to collect data. Makes collecting data easy. The support staff i s also awesome! Sometimes reports do not work and are buggy. We use Qualtrics for our Client Satisfaction survey so we identify what areas within our company need to be stronger. * We monitor all Qualtrics Customer Experience reviews to prevent fraudulent reviews and keep review quality high. We do not post reviews by company employees or direct competitors. Validated reviews require the user to submit a screenshot of the product containing their user ID, in order to verify a user is an actual user of the product. Hi there! Are you looking to implement a solution like Qualtrics Customer Experience?